This idea isn't too revolutionary, but I just love the way it looks. I hope it gives you a little inspiration. I love flowers. I hate when flowers die. Solution = fake flowers. 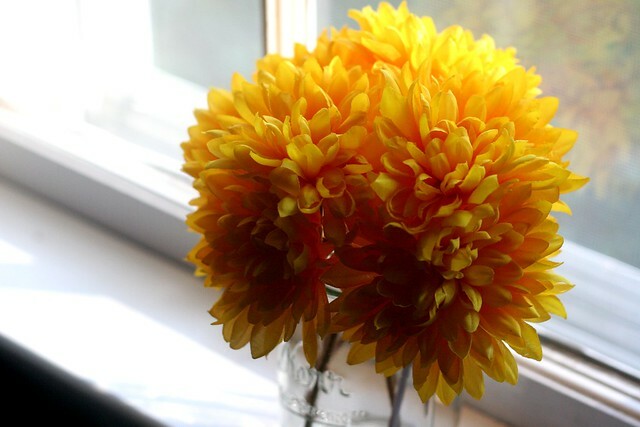 I went to my local craft store and found a TON of fall flowers on sale. Not even on sale. CLEARANCE. Win. That means you can find beautiful, deep colors like yellow, orange, green and red to use in arrangements. I loved the way these looked, so I picked yellow. It's bright and cheery. 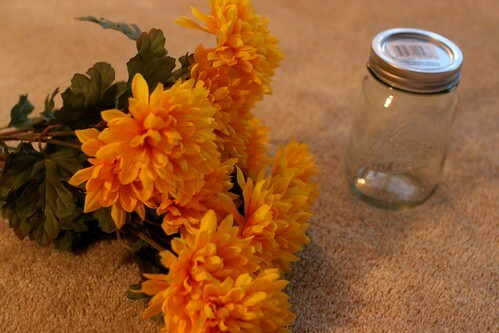 I picked up these beautiful yellow chrysanthemums for $2.50 and paid about $1.00 for the mason jar. I made this pretty little thing for $3.50! And it really brightens the room. I started out unsure of the way I wanted it to look. 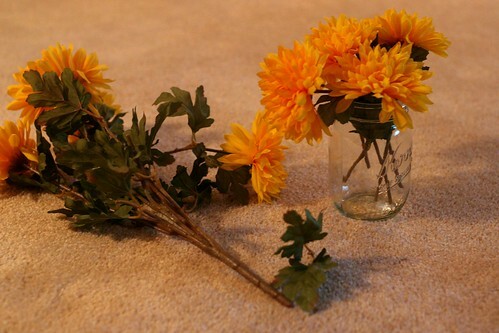 I liked the green leaves, so I kept a few and arranged just a couple of the flowers in the jar. It didn't look quite right. 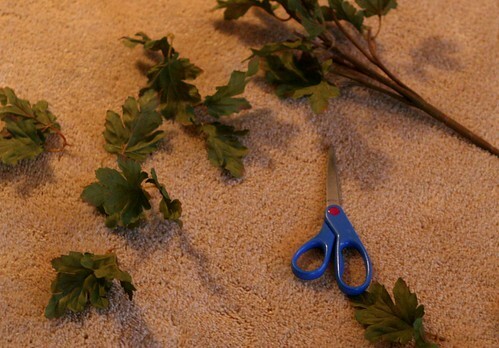 I ended up chopping off all of the leaves and flowers. Major flower surgery. I arranged them to look like a ball and put them in the jar. I loved it! It is somewhat modern. If you wanted it to look more traditional and classic, I would suggest using fewer flowers, with leaves, in a more natural arrangement... like the way they would grow from the ground. I love the yellow and the way the sunlight shines through. 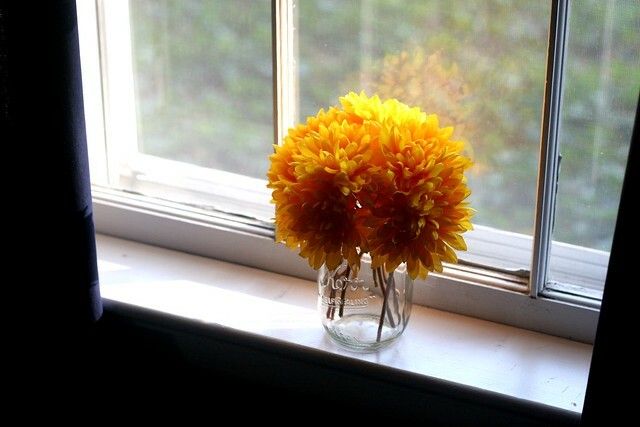 This little jar of chrysanthemums adds color and character to a little corner in my room. Try it! I laughed when you said to "chop off all the leaves". Only you could do that and it would still look pretty. It works for me ... I can see a couple of these on my desk at work ! I have a sweet window sill at work I can multi color arrange . . . mind at work on the palette!